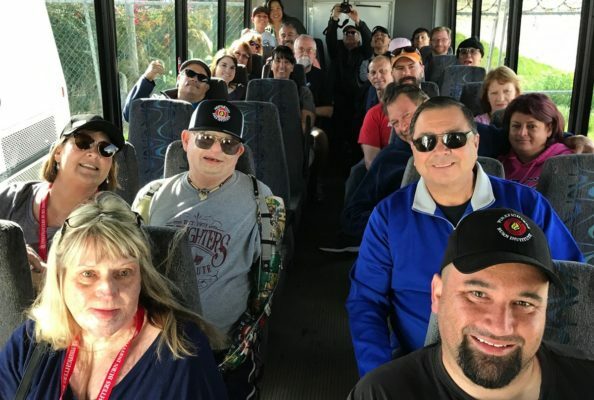 At different times during the year the Firefighters Burn Institute plans social events for burn survivors and their families. These social events change from year to year depending on the donations we receive from generous donors and the interests of our survivors. Social events in the past have included tickets to Sacramento Kings games, Sacramento River Cats games, Sacramento Republic FC games, barbeques, picnics, movie nights and more! These social events are a wonderful opportunity to build a network of support while meeting others who have gone through similar experiences. For more information on upcoming social events please contact our office at (916) 739-8525 or email us at staff@ffburn.org.